Mr. Joji Valli, author of inspirational books; Heart 2 Heart and Hearts on Fire and a moderator of Heartspeaks group which sends inspirational messages to several thousand contacts, visited IDF office on 30th Aug.08. Dr. A.R.K. Pillai, President and Mr. N. R. Parashuraman, Treasurer of Indian Development Foundation welcomed Mr. Joji Valli and inducted him as the IDF Social Ambassador. Dr. Narayan B. Iyer, National Co-ordinator, IDF apprised Mr. Joji Valli with the humanitarian activities of the Foundation. I am really impressed by the work of IDF in the areas of health, education and development. I feel happy to become IDF Social Ambassador and help the overall objective of the Foundation in national interest, responded Mr. Jogi Valli. National Service Scheme (NSS) provides a great opportunity for the students to take part in social work in the college day life and make a difference in the society, expressed Dr. Narayan. Dr. Narayan B. Iyer, National Co-ordinator of Indian Development Foundation was addressing the NSS volunteers of Vivek College of Commerce, Goregaon, Mumbai on 27th Aug. on importance of students' social responsibility. Dr. Narayan enlightened the students on various aspects of life touching time management skills and the importance of social audits. As development of society is our prime motto, students need to optimize their skills and gain experience. Dr. Narayan exhorted NSS volunteers to excel in their concerned fields towards achieving fulfillment of their desired goals. Corporate Social Responsibility is the buzz word, Dr. Narayan said that there are ample career oriented avenues open in the social market which can help in transforming the society. After the successful blood donation drive, NSS volunteers have chalked out health awareness campaigns, teaching the underprivileged students, vermiculture and village development programmes in their agenda. Prof. P. Thangadurai, NSS Co-ordinator, Vivek College of Commerce in his welcome speech appreciated the role of Indian Development Foundation in organizing several social projects for NSS volunteers. 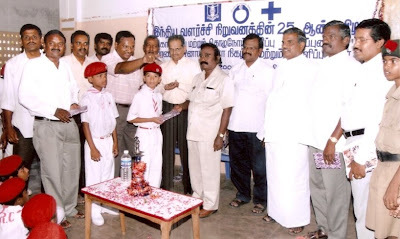 It is heartening to note that a good number of NSS volunteers have enrolled to teach students in neighbouring Municipal Schools, expressed Prof. Thangadurai. It was intere sting to participate in th e student empowerment session organized by IDF, expressed NSS volunteer Bhagyashree. The developmental activities shared by Dr. Narayan and the good work done by the Foundation for the welfare of the humanity are great, said Kennedy, NSS Volunteer. Vidya Padmanabhan, PRO of NSS Unit of Vivek College expressed her sincere thanks to IDF for enthusing volunteers to become key players in social transformation. Celebrating Russia-India Friendship Year at Russian Cultural Centre, Peddar Road, Mumbai on 24th Aug. 2008. Seated are Vice Consul of Russia Mr. Nazarkin, Consul of Sri Lanka Mr. Ratnayake, Consul General of Poland Mr. Mantytsky, Mrs. Ratnayake and Mrs. Nazarkin. Rambhau Gadkari also known as Gandhi of Karjat passed away on 21st August 2008. Mr. R. D. Gadkari was the Trustee and Vice President of Indian Development Foundation for nearly two decades. Mr. R. D. Gadkari, popularly known as Rambhau Gadkari, was an ardent social worker right from his younger days. His social work had a marked difference in the sense that he targeted his energies to alleviate the sufferings of the poor, the marginalised and the afflicted with absolute unselfishness. He had been an inspiration to the young and the old alike. Rambhau was a man of rare vision, simple living and high thinking. Hailing from Karjat, in Raigad Dist. of Maharashtra, he had his early education in a tribal village from where he moved to Ramnarain Ruia College in Mumbai and then to Nagpur University to take his LL.B. degree. During his employment with the Railways in the earlier years, Mr. Gadkari was moved by the plight of the lower level rail workers and took up their cause in right earnest which resulted in a better deal for them. He also took up the cause of rail passengers and helped to get their grievances redressed and had been the President of the Mumbai Suburban Rail Passengers Association. The other areas of social work which received Mr. Gadkari’s unstinted attention were education, housing and leprosy control. Being convinced that education is a must for the upliftment of children especially in the neglected tribal areas, he helped in establishing several schools under the umbrella organisation Abhinav Jnyan Mandir of Raigad District. To alleviate the sufferings of the middle class, a co-operative Housing Society was formed in Ambernath under his able guidance which incidentally is reported to be the largest co-operative housing society in Maharashtra. With the help and support of Emmaus Swiss of Switzerland, he establisbed a project - Rural Integrated Health Scheme and undertook leprosy control work in the tribal areas of Raigad Dist. 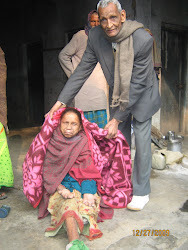 which resulted in curing over 6000 leprosy patients followed by their rehabilitation. His ambition was to see a leprosy-free Raigad much in advance of other districts. His close association with Indian Development Foundation (Formerly Indian Leprosy Foundation) gave him a wider access to the world of leprosy. The Board of Trustees, members, friends and well-wishers of Indian Development Foundation condole the passing away of Mr. R. D. Gadkari. May his soul rest in peace. Vivek College of Commerce, Goregaon (West) in collaboration with Lions Club of Juhu, Think Foundation, Prabhodhan Blood Bank and Indian Development Foundation organized a Blood Donation and Thalassemia Detection Camp on 20th and 21st of August. The two-day blood donation drive concluded today with an awesome response of 245 units by our students, said Prof.Thangadurai, NSS Co-ordinator, Vivek College of Commerce. Aiming at collecting maximum units of blood, NSS team made great efforts in mobilizing student volunteers to donate blood. The response was overwhelming with many first time donors coming forward to donate blood with full enthusiasm. 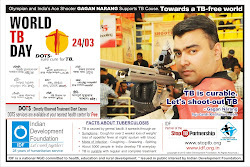 Think Foundation took the responsibility of creating awareness on the importance of blood donation. Mr. Vinay Shetty, Vice President of Think Foundation co-ordinated the event and organized a Thallasamia check for the students of Vivek College. Students from all streams of our college came forward and did their best in achieving the target of 245 units of blood, expressed Prof. Thangadurai, NSS Co-ordinator, Vivek College of Commerce. The camp is more like a festival for the Vivians as more and more students participated in this social responsibility programme. Year after year the response of donors is incredible, said Prof. Mandar Suresh Thakur. Every student who donated blood had a smile on their face and they received a badge saying `I donated blood today' . The students were also presented a participation certificate for their noble gesture. 'It took very lit tle time for me to d onate blood', said Nimesh. `I feel great to donate blood and save lives and I am a regular blood donor', Jeroline said with a smile. `We need to be sensitized on social issues and come forward to support various causes', expressed Anjali. Dr. Narayan B. Iyer, National Co-ordinator, Indian Development Foundation congratulated the students of V ivek College of Commerce for their excellent participation in the blood donation drive. Such activities need to be appreciated and students should be motivated to take responsibility in social programmes, he said. Vidya Padmanabhan, PRO of NSS Unit of Vivek College expressed her sincere thanks to the organizers, the sponsors and all the enthusiastic donors for making the event a gala one. Managing time is very important and the emerging social workers from Loyola College need to pay more attention on time factor looking into their need for the society, expressed Dr. Pillai. Speaking to the Professional Social Worker Students of Loyola College at Chennai this evening (18/08/08) Dr. A.R.K. Pillai, President of Indian Development Foundation (IDF), enlightened the students on various aspects touching time management skills and the importance of social audits. The students should optimise their study time for equipping themselves sufficiently to find solutions and remedies for the rising socio-economic problems, Dr.Pil lai opined. Dr. Narayan B. Iyer, National Co-ordinator of IDF infused confidence in the students by explaining to them on the effective social action models adopted by the Foundation towards achieving a better India of our dreams. Dr. Narayan exhorted the young social work students to excel in their concerned fields towards achieving fulfillment their desired goals. Corporate Social Responsibiliy being the buzz word of these days, Dr. Narayan said that there are more avenues for the social workers in the social market to bridge rural-urban divide. Rev. Fr. A. Louis Arockiaraj, Co-ordinator of Department of Social Work in his welcome speech mentioned the secret of effective time management lies in the identification of specific life goals. Dr. Arul Kamaraj, President of Social Workers Associated co-ordinated the event alongwith the Committee members comprising Arul Jeyaraj, Esther and P. Sundar. The programme organized by Indian Development Foundation gave a good learning for all of us embedded with a lot of meaning and experiences. We feel that such lectures remind us that time is precious thing in this world and we need to move with the time, expressed Joel Phillip Thomas from the Department. The developmental activities of the Foundation shared by Dr. Pillai and Dr. Narayan were indeed great . It was indeed great to hear the good work being done for the welfare of the humanity, Joel added. 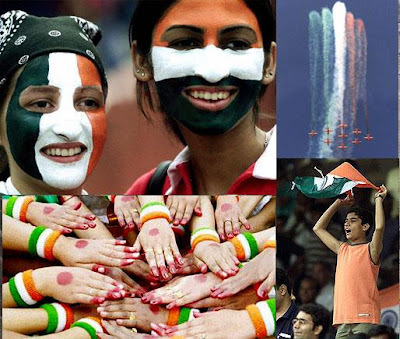 Indian Development Foundation is a leading national NGO committed to health, education and rural development. As part of educational empowerment programme, IDF has been organising such empowerment programmes on a complimentary basis to ignite the young minds in the country. The work of Indian Development Foundation needs to be commended in the areas of health and education, expressed Dr. M.S. Swaminathan. Leprosy work requires great courage and commitment and if today India has succeeded eliminating leprosy, it is due to the self-service of stalwarts like Dr. A.R.K. Pillai who have toiled for the uplift of the marginalized poor victims, he added. The Father of Green Revolution Dr. M.S. Swaminathan and Chairman of M.S.Swaminathan Research Foundation received IDF team comprising Dr.A.R.K. Pillai (Founder President), Dr. Narayan B. Iyer (National Co-ordinator), Mr. C. Chidambaram (Manager-Southern Region) and Dr. S. Franklin (Karnataka Area Manager) at MSSR Foundation office, Chennai this morning (16/08/08). Dr. A.R.K. Pillai apprised the work of Indian Development Foundation in nation building activities involving health, education and rural development aspects. Dr. Narayan gave a broad outline on the forthcoming projects and development works especially `Project Goodness' launched by the Foundation in its silver jubilee year. Dr. Swaminathan appreciated IDF's initiative towards establishing Bal Gurukuls towards empowering the underprivileged children in India. Dr. Swaminathan wished IDF and its team members all the best in achieving a developed India of our dream. The Trustees of Indian Development Foundation met on 9th Aug. 08 to discuss IDF's Project Goodness. 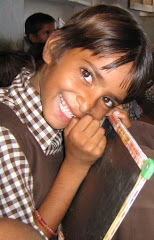 The members designed newer strategies to give smiles to the underprivileged. The students of St. Francis Anglo Indian School, Coimbatore supported the health, education and development projects of Indian Development Foundation. Rev. 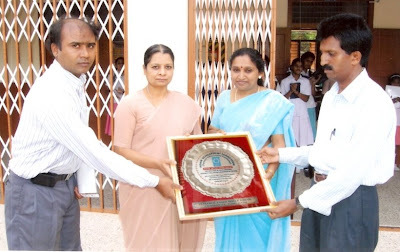 Sr. Pushpam J., Principal of the School appreciated the work of IDF and congratulated the team for sensitising the students on important health awareness topics. 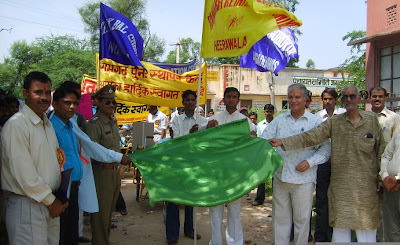 We have been supporting IDF for the past several years and we feel happy about the progress made by this NGO in eliminating leprosy, expressed Rev. Sr. Principal. Mr. Mano Ranjit Lad and Mr. F. Fredrick from Indian Development Foundation presented a IDF memento of appreciation for excellent social responsibility programme. Together Everyone Achieves More - TEAM. 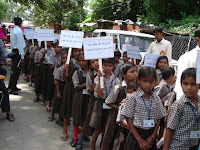 Indian Development Foundation organised a public health awareness rally with the help of National Cadet Corps from MPL Boys Hr. Sec. School, Ammapet, Salem, Tamil Nadu. Members from Lakshmi Narayana Charitable Trust and Leprosy Relief Rural Centre, Chettipatty also participated in the event. Dr. V. Subramania Raja, WHO Consultant - Dr. Arunagiri, Dy. 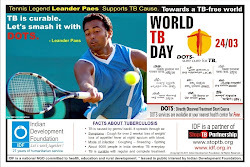 Director (TB), Salem - Mr. C. Pandian, HM, MPL Boys Hr. Sec. School, Ammapet, Salem. Mr. R. Settu, Co-ordinator (TN & Pondy), IDF and Mr. M. Rangasami, Field Officer, IDF, Salem organised the event as part of Project Goodness programme of IDF. Students were awarded for winning in the district level quiz competition organised on health issues. 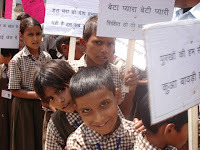 Sarthak Manav Kushthashram, Ramgarh Re-integration Centre and students from Tilak Bal Gurukul organised a massive public health rally in Jamwa Ramgarh area near Jaipur. 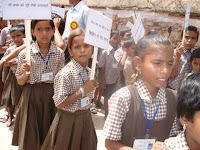 Students raised slogans on various health and child related issues. Villagers too participated in the event and they showered flowers on the children as the rally passed throug h their houses. 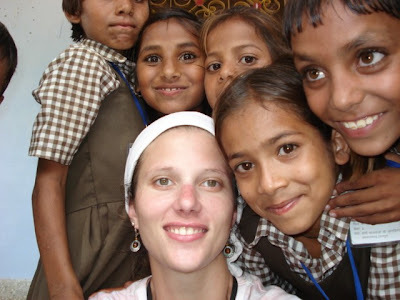 Tilak Bal Gurukul (TBG) at Langadiyawas and Nonpura villages in Jaipur are Empowerment Schools of IDF. Dr. Pillai inducted Mr. S. R. Chowdhry as IDF's Social Ambassador in New Delhi. Mrs. Asha Chowdhry looks on. Dr. Hepesh Shepherd, Director of Ingraham Institute, Ghaziabad and Mr. Clement Muthaiah, Principal of Ingraham ITI visited Vimala Centre on 2nd Aug. 08. Dr. Pillai and Sr. Sisily look on. Mr. Upendra Kaushik, Principal, Bharatiya Vidya Bhavan's Vidyashram, Jaipur visited Vimala Centre during his Mumbai visit. He is flanked by Dr. Pillai and Dr. Sharad Nayampally. Ms. Priya Borkar student of Pine Crest School, Florida, USA was inducted as IDF's Social Ambassador. During her vacation in India, Ms. Priya has been guiding and teaching children in St. Catherine's School in Mumbai as part of her social responsibility programme. PYP and IBDP Students from Podar International School (IB) visited Vimala Dermatological Centre, Versova, Andheri (W), Mumbai and M.N.B. Industrial Home for the Blind, Jogeshwari (W) as part of their CAS activities. IDF team co-ordinated the visits to the centres and explained them various projects. 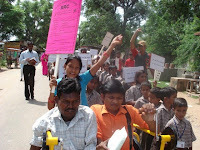 The students felt happy as they went round the centre.